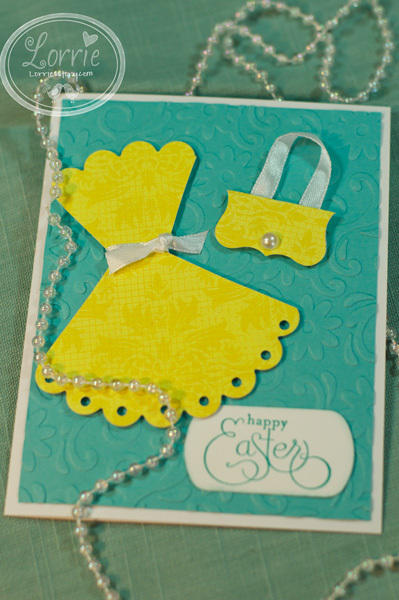 This is one of the dress cards using the Stampin' Up large scallop circle tutorial. I used a Nestability instead, but it worked out. I also didn't use the tab punch for my purse, instead I used the curly label.